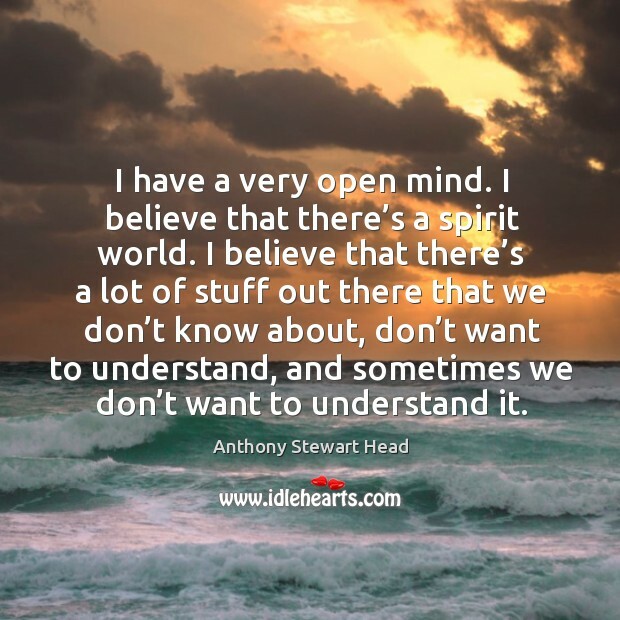 Enjoy the best inspirational, motivational, positive, funny and famous quotes by Anthony Stewart Head. Use words and picture quotations to push forward and inspire you keep going in life! 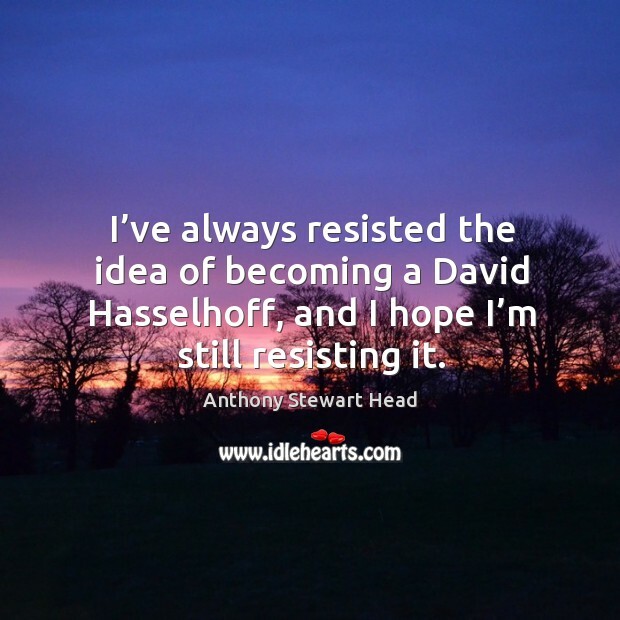 I’ve always resisted the idea of becoming a David Hasselhoff, and I hope I’m still resisting it. I have a very open mind. I believe that there’s a spirit world. I believe that there’s a lot of stuff out there that we don’t know about, don’t want to understand, and sometimes we don’t want to understand it. I’ve been to Australia a couple of times, but never to the north or the centre. 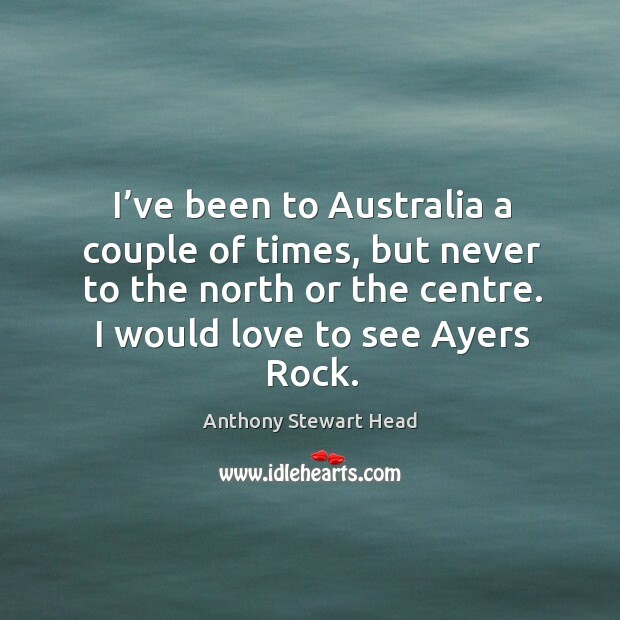 I would love to see Ayers Rock. 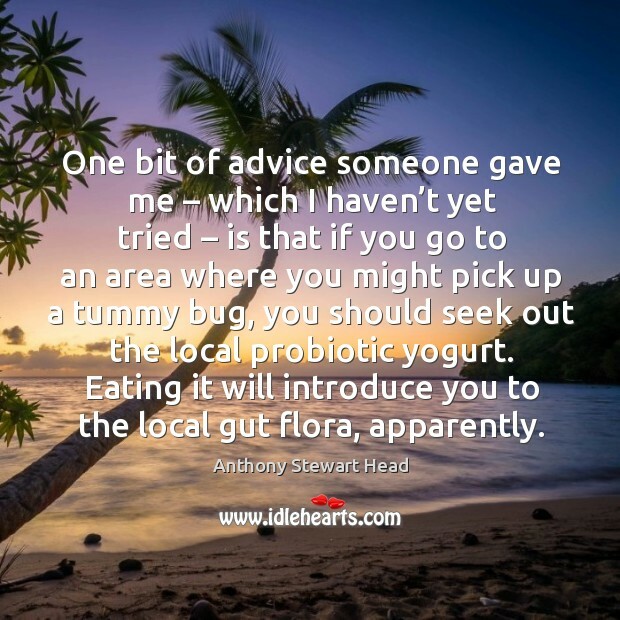 One bit of advice someone gave me – which I haven’t yet tried – is that if you go to an area where you might pick up a tummy bug, you should seek out the local probiotic yogurt. Eating it will introduce you to the local gut flora, apparently. 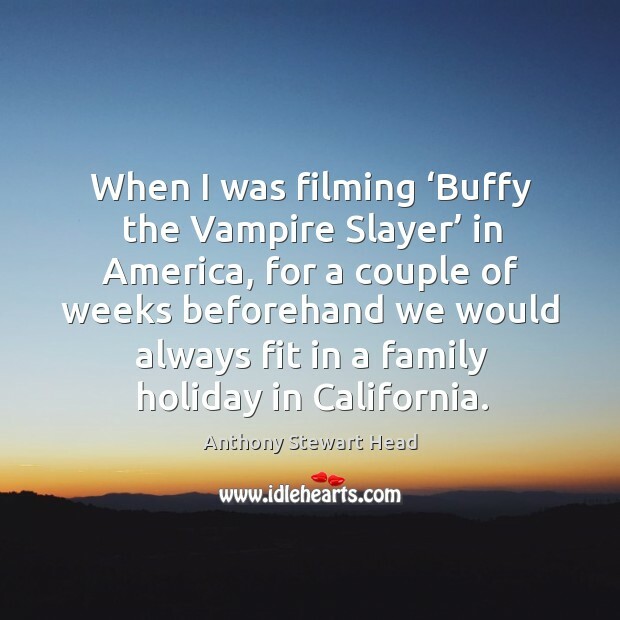 When I was filming ‘Buffy the Vampire Slayer’ in America, for a couple of weeks beforehand we would always fit in a family holiday in California. 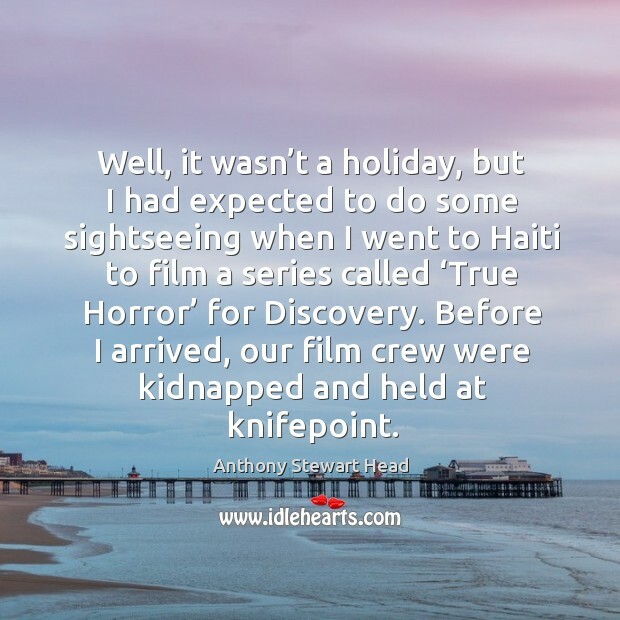 Well, it wasn’t a holiday, but I had expected to do some sightseeing when I went to Haiti to film a series called ‘True Horror’ for Discovery. Before I arrived, our film crew were kidnapped and held at knifepoint. 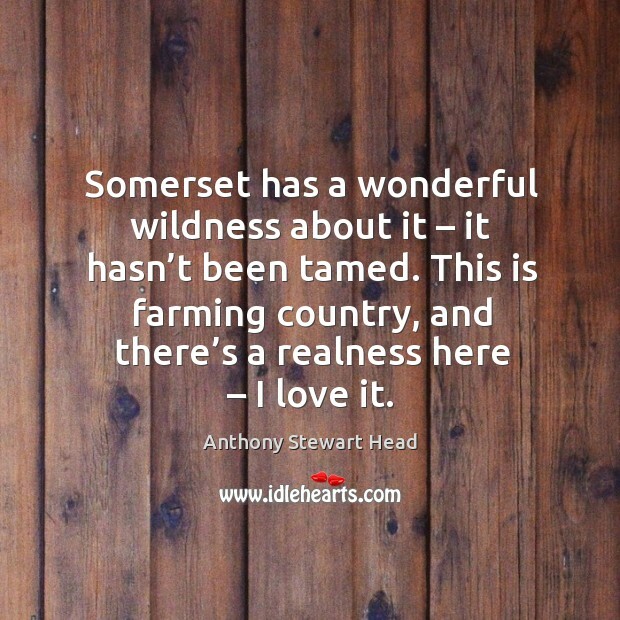 Somerset has a wonderful wildness about it – it hasn’t been tamed. This is farming country, and there’s a realness here – I love it. 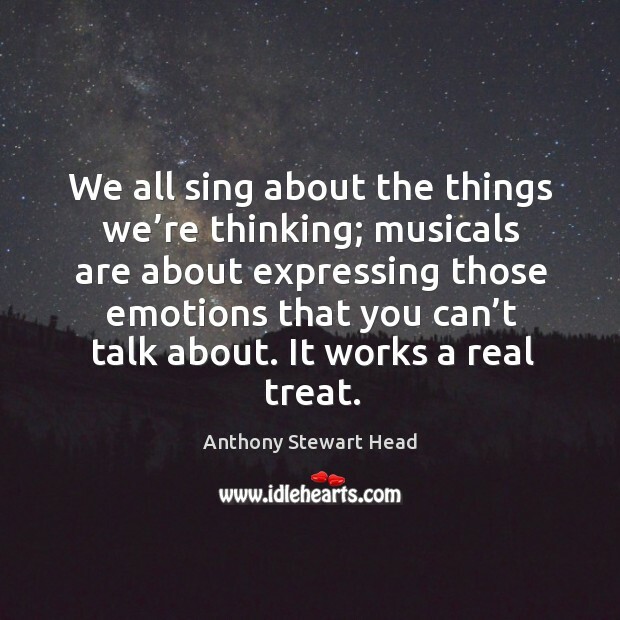 We all sing about the things we’re thinking; musicals are about expressing those emotions that you can’t talk about. It works a real treat.